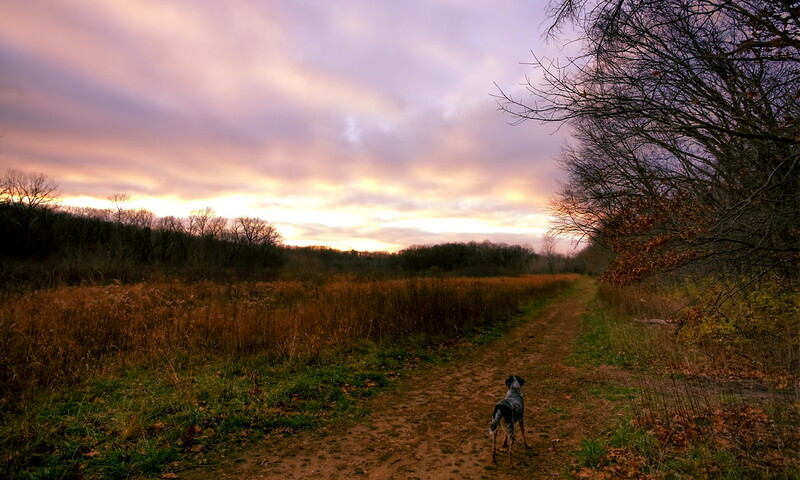 After a great vacation in Omaha it didn't take us long to get back out to Grindstone Nature Area with the dogs. The sky was gray all day but the sun started breaking through the clouds just in time for sunset. That's why I always bring my camera, no matter what the sky looks like when I'm leaving the house.